The Trace Labs management team just got a strong addition in Jurij Škornik who is joining us as General Manager. In his new role, Jurij will be responsible for managing all daily operations, as well as strategy implementation, focusing on improving operational efficiency to better serve business communities. This applies to building both the open source OriginTrail protocol as well as nOS (Network Operating System) for a seamless user experience with decentralized networks. Jurij Škornik brings extraordinary management experience from one of the world’s largest logistics providers, Deutsche Post DHL Group. Before joining Trace Labs, Jurij spent five years solving supply chain management challenges there, most recently as a senior consultant. At DHL, he gained significant experience in a variety of fields, including organizational design, logistics operations, IT system implementation, and carve-outs. His projects took him across Germany, the US, the UK, Switzerland, Belgium, and other countries. “It is my pleasure to work with the Trace Labs team. This team has already proved that it is capable of extraordinary achievements, and I’m excited to steer it towards future milestones on a mission to facilitate cross-organizational data exchange in global supply chains and corporate environments. 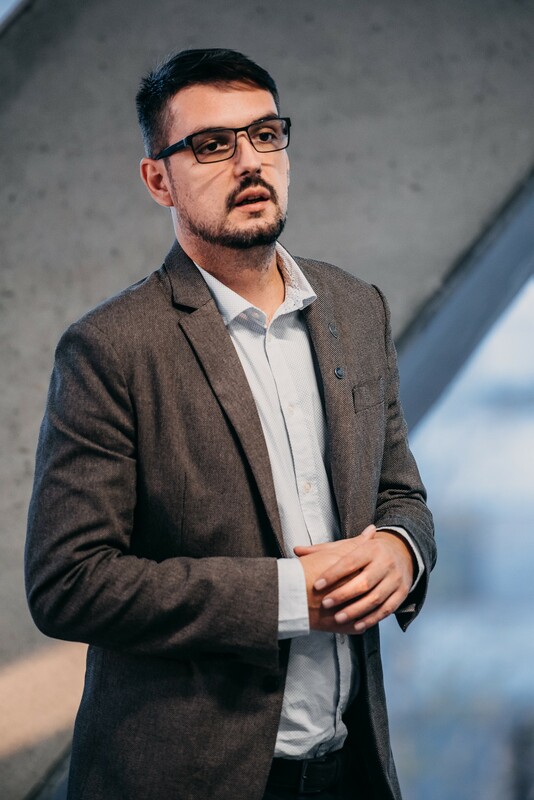 Besides ongoing development of the OriginTrail protocol, my focus will be to serve business communities with nOS — a system that enables organizations to solve tangible challenges and automate data exchange based on novel technologies” said Jurij Škornik, General Manager of Trace Labs. “We are proud to welcome Jurij in our team. With daily operations of Trace Labs firmly under his control, the founders are able to focus more on high-level strategy, including the development of the whole OriginTrail ecosystem as outlined in our recent Vision Paper,” said Tomaž Levak, Co-Founder of Trace Labs. The Trace Labs management team now includes co-founders Tomaž Levak, Žiga Drev, and Branimir Rakić as board members, Jurij Škornik as General Manager and Vladimir Lelićanin as Chief Product Officer. Vladimir has taken charge of product development, with nOS being one of the recent achievements in raising industry standards of blockchain technology usability. Having worked in the IT industry for more than two decades, leading and educating teams of software developers, Vladimir’s knowledge and skills in designing and helping deliver products to market will further improve adoption of the OriginTrail protocol for various use cases. The Trace Labs team is thankful to Maja for her lasting contribution to the OriginTrail ecosystem.